Well, we started out at Art College, meeting up in 1975 and getting together to play at parties and anywhere that would have us. Heady times - Dr Feelgood and the rest of the pub rock scene had blazed the trail, Punk was taking things to the edge and beyond - energy and passion were the thing. Somehow we caught the mood - the Bristol public seemed ready for Cliff Richard songs played at a hundred miles an hour (this was pre Young Ones), sung by thuggish looking blokes doing rather camp dance moves (sorry chaps). Quickly becoming the darlings of the Crown cellar bar, Crockers, the Green Rooms, the Domino club and all those other now demolished places, we played our first Ashton Court in about 1979, and played the main stage there every year for the next 12 or so. We got better at playing, and started to write our own songs - it was the thing to do. We never took it too seriously, though we did seriously think (like a lot of people) that we were on the verge of "making it" - for about three or four years. We toured the country with the likes of the Beat, Wilko Johnson and Nine Below Zero - all of us still with day jobs and always returning to Bristol the same night, usually to start work an hour or two later. People loved us - it wasn't difficult music, it didn't mean anything much, but it gave people permission to have fun. We didn't really mind that Madness and the Specials came along looking just like us, and that people who hadn't seen us before thought we were on their bandwagon. We liked them too, and we were glad that someone was doing it and reaching the great British public with the same motivation (though we were never Ska). If you find out there's a band called Los Yanquis playing anywhere within your reach, go check them out. 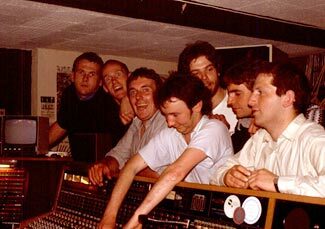 Yep, we're still at it (some of us, anyway - Stuart, Andy, Snake, me, together with Colin from the Wild Beasts and new friend Justin) but veering down the path of country (as befits our years). Seems like we were ahead of that game too. 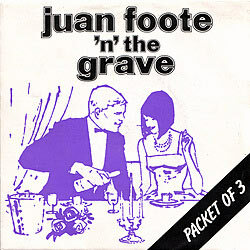 Recorded in July 1981 at Cave Studios Bristol.